Earlier today, ASUS went on an overdrive in launching not just one but 3 variants of its 2016 Zenfone line of flagships. We’ve covered the 2 variants in a separate article and in the current one we will focus on the king of the three variants, the Zenfone 3 Deluxe. We had seen that the Deluxe variant was the most powerful one in the Zenfone 2 series and ASUS will continue on the culture there. The first thing about this phone is the stunning looks – a complete metal unibody design with hidden antenna lines, the first of its kind in the world. The phone is slim and has really thin bezels of 1.3mm which is a good piece of work, or an art should we say! The Zenfone 2 lacked appealing designs but ASUS has done a very good job this time around. The phone comes with a 5.7″ Full HD Super AMOLED display and is protected by Corning Gorilla Glass and 100% NTSC Color gamut, something similar to the one we’ve seen on Lenovo’s Vibe X3. Under the hood its powered by Qualcomm’s latest flagship, the Snapdragon 820 SoC with an Adreno 530 GPU packing a massive power house in there. If this wasn’t enough it comes with 6GB of RAM and 64GB of internal memory that can be bumped up to 256GB via external micro SD card. The phone comes with a 3000mAh battery that is charged by a USB Type-C port and has Quick charge 3.0 support. In terms of the camera module, the Zenfone 3 Deluxe comes with a 23 MP Sony IMX318 sensor that can also do 4K videos. Coming with a f/2.0 aperture it has a 4 axis OIS on the hardware and a 3 axis Electronic Image stabilization. In addition to this it comes with laser auto focus, PDAF and dual LED tone making it one of the most powerful cameras around any phone and we cannot wait to test this out. The phone runs on Zen UI 3.0 built off Android Marshmallow and comes with tons of new additions to the UI which we will be riding in the coming days. It is supposed to be more snappier and performant than before, even on the battery life department too. 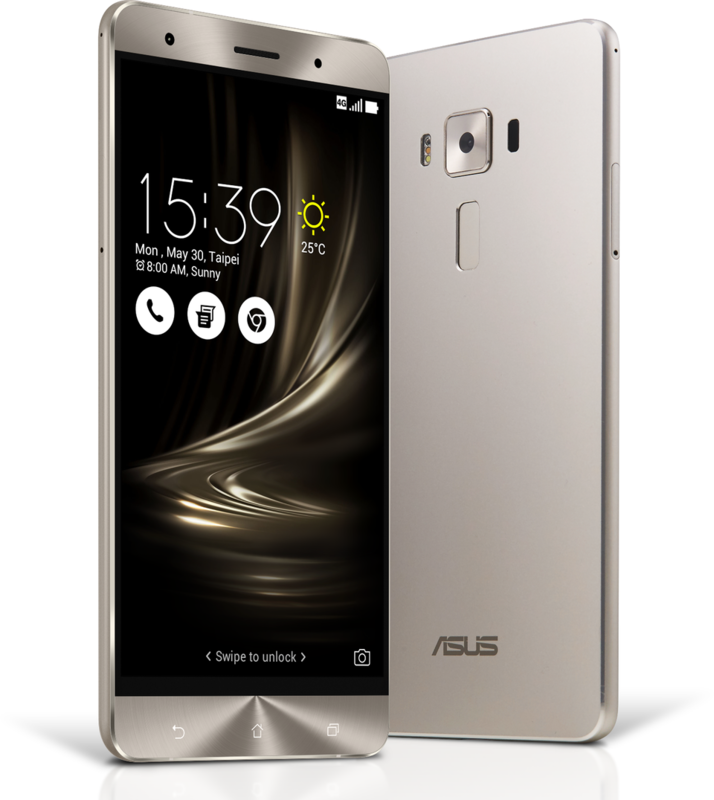 With a fingerprint scanner on the rear and a five magnet speaker with NXP smart amplification for enhanced audio experience, overall the Zenfone 3 Deluxe is one heck of a phone that is priced at 499 USD.